Design & Installation Our professional design specialists will consult with you to develop an appropriate plantscape design for your location. Maintenance Plant maintenance services provided by our company will help ensure the health of your plants and protect your investment. 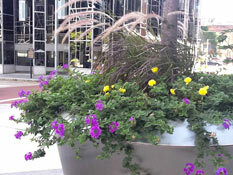 Exterior Landscaping Our exterior landscaping specialty is beautiful displays of annuals in containers and flower beds surrounding your workplace. 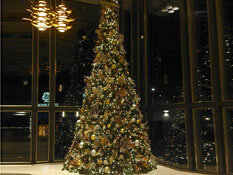 Holiday Decorating We specialize in unique holiday decoration designs using trees, garlands, wreaths, Poinsettias, lights and other holiday accents. 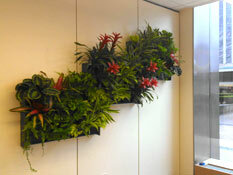 "The Plant Lady & Associates Inc. is a full service interiorscape business specializing in design, installation, and maintenance of plantscapes in offices and commercial settings. 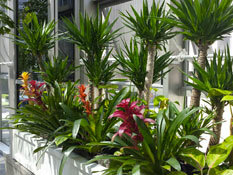 We are distinguished from other interior landscaping companies by our responsive customer service and experienced staff.